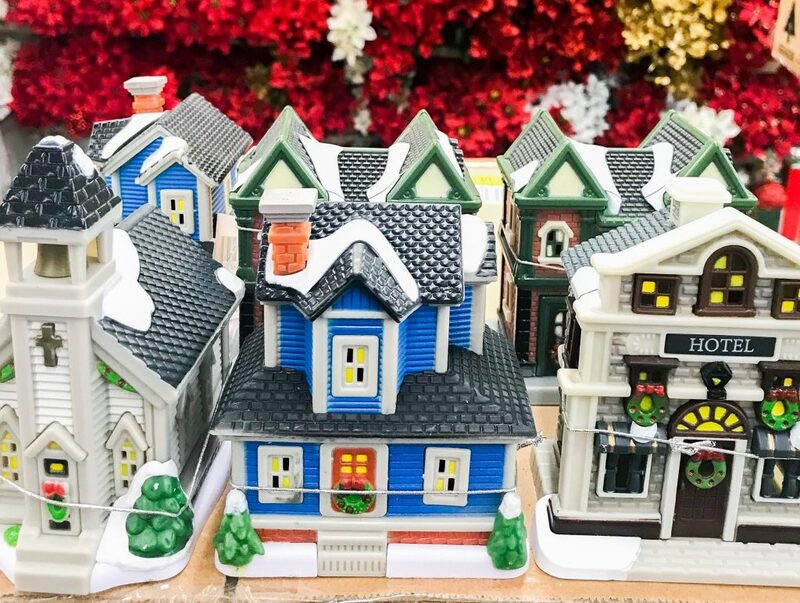 I found these adorable little Christmas Village Houses at the Dollar Tree today. I couldn’t find them online, but they are available in stores. Our Dollar Tree store had four different styles available. The buildings have details on all four sides so you can rotate two of the same buildings and have them appear different. Each can hold a little battery powered tea light candle. They are adorable as is, but we wanted to create a more monochromatic look. We used Rust-Oleum American Accents 2x Ultra Cover Spray Paint that bounds to plastic. 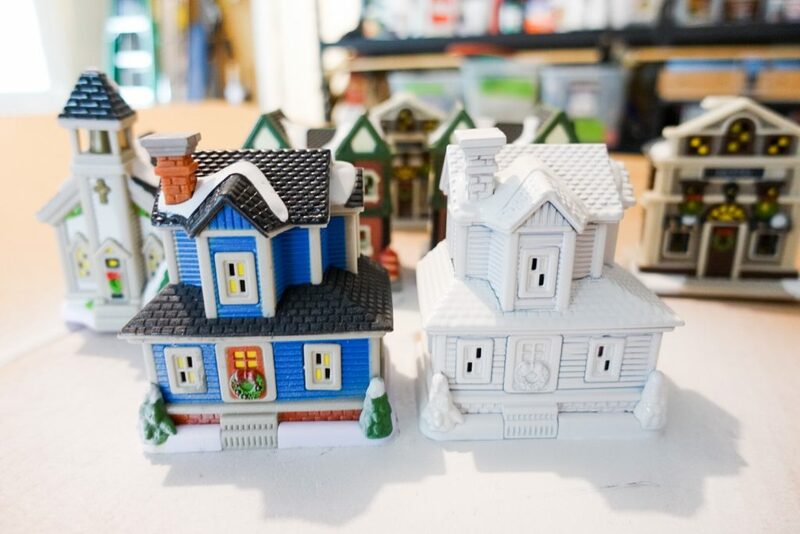 We threw down a piece of cardboard in a well-ventilated area and spraypainted the houses with a few quick coats of paint. I can’t decide which way I like the houses better. 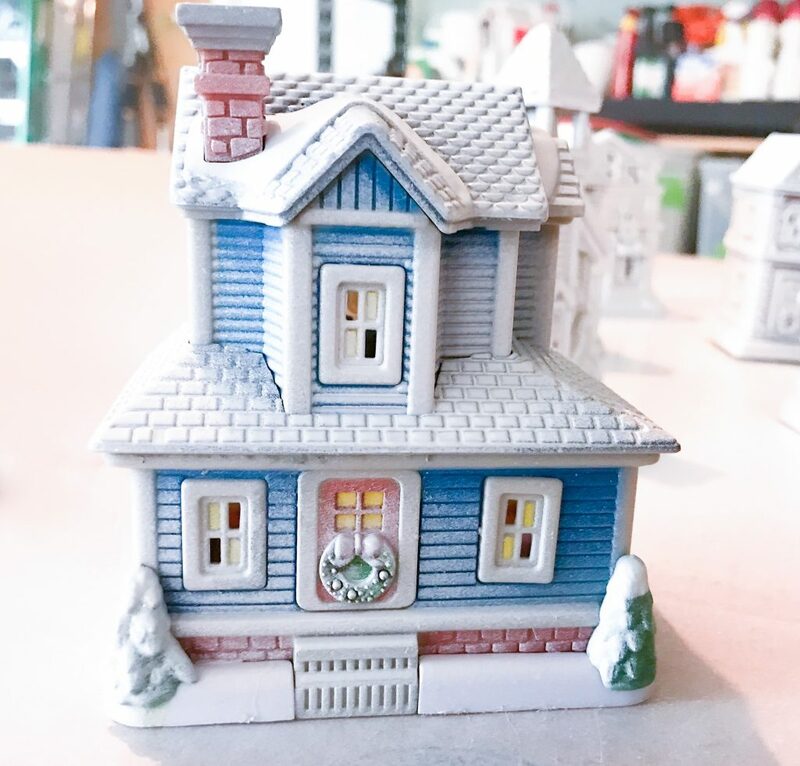 I had sprayed all of the houses completely white then tried just a quick downward spray on this one and it looks just like a light snowfall. It mutes the bold colors and gives them a little more character. 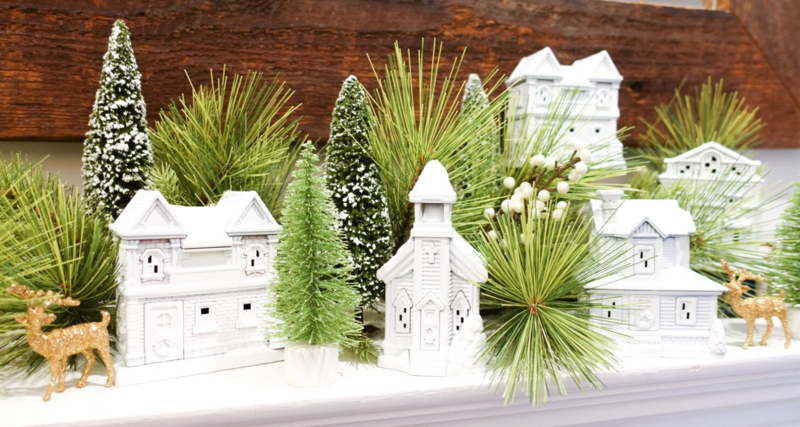 We mixed our winter village houses with some bottle brush trees like these from Amazon and our Hearth & Hand garland from Target. 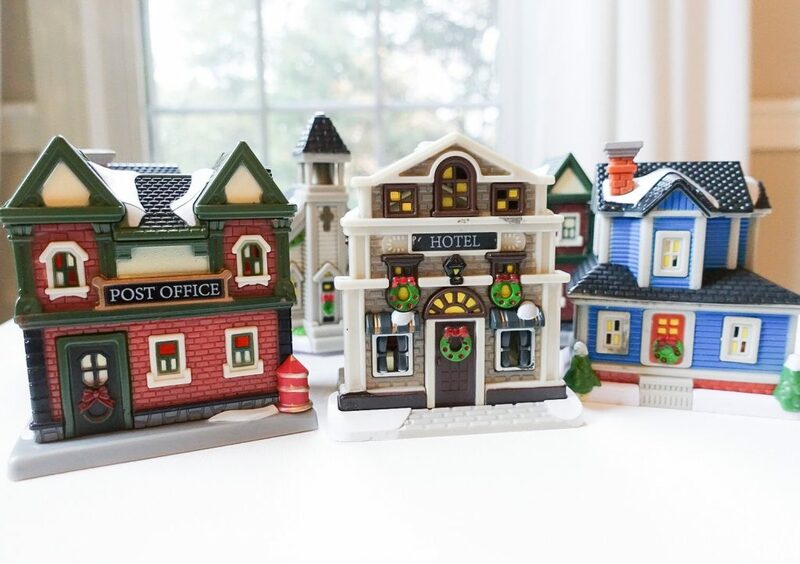 The glitter reindeer and bottle brush trees can also be found at Michaels. The holidays are right around the corner! 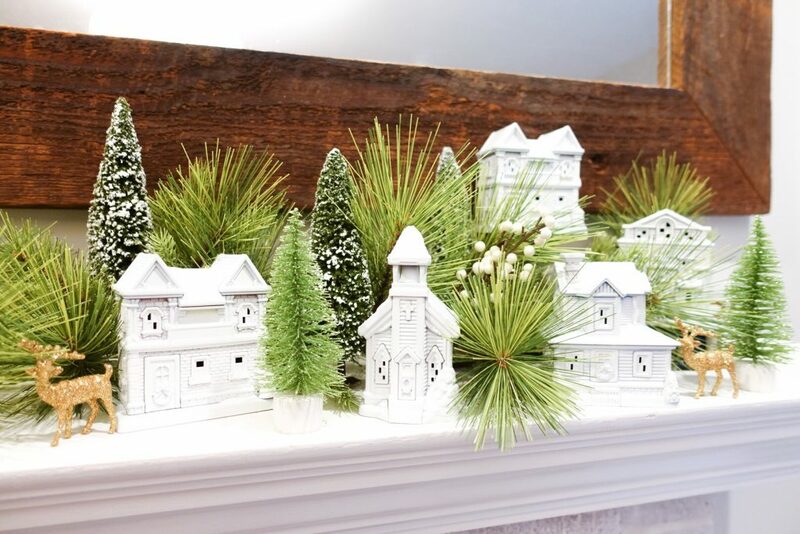 These budget-friendly decorations will have your holiday mantle on point.